Cycling travel in Europe has become almost commonplace these days, but I remember my first trip with my bike to see the Giro d'Italia in 1994 - there was only one company at the time offering a chance to see the race and ride my bike on some of the best roads I'd ever rolled along. With the growth in popularity of the Tour and other big races also came an explosion in the cycling travel biz, but with almost no barriers to entry - a multitude of bike travel operators have come and gone. I first met with Larry Theobald when he was a guide on that trip to the 1994 Giro, and several years later met him again after he and partner Heather Reid started their their own cycling travel company which we featured on PEZ here. They're still here - and for good reason - they focus on showing guests a real slice of Italian cycling life, and they do it better than most. Ten years have passed since then and I recently met up with Larry Theobald to talk about his new operation, Piedmont Cycling Resort. 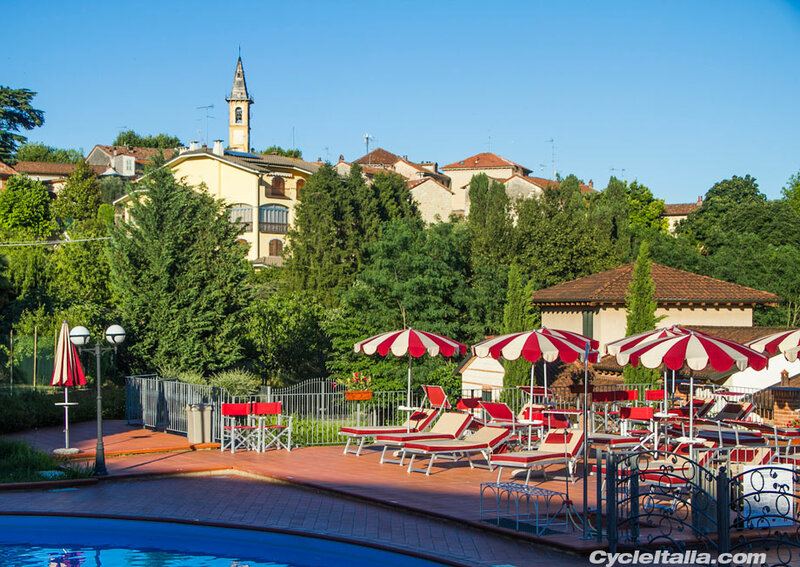 Hotel Ariotto has been CycleItalia’s northern Italian HQ since their start and now they’re featuring what they describe as more than a bike hotel, a true cycling resort. What is a cycling resort? Larry: We don’t claim this is an original idea and as you know there are plenty of bike hotels, but our idea was inspired by our clients who, after arriving at Hotel Ariotto often asked, “Why can’t we just stay here the entire week?” We eventually scheduled a week-long vacation with Ariotto as the base, mapping out a variety of ride routes through the now UNESCO World Heritage Site along with special places to eat and drink along the way. While clients loved the concept, they wanted more flexibility in dates. They wanted to be able to come and go when they wanted and make their vacation truly custom. 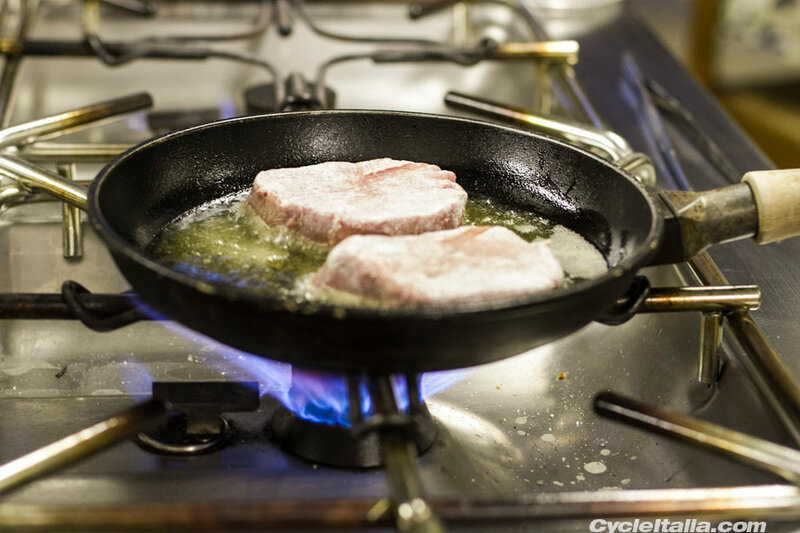 Piedmont Cycling Resort lets us do just that. 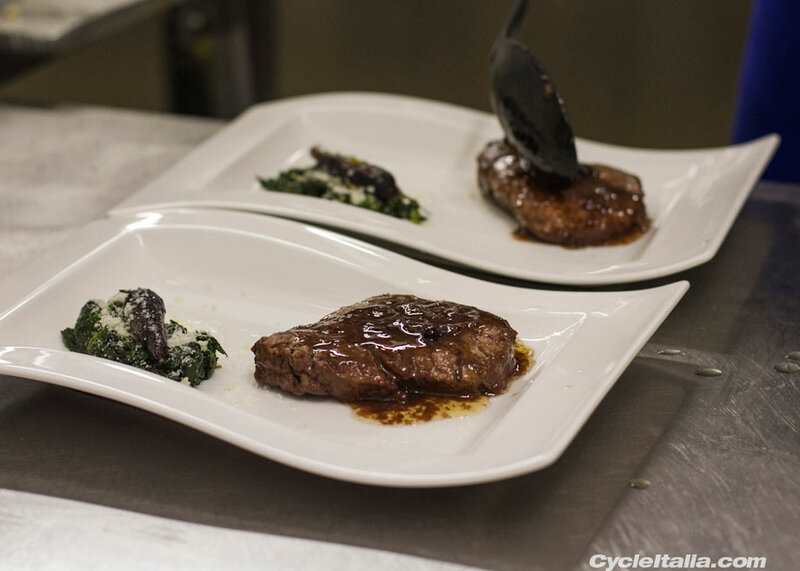 Sounds great, but what makes this a cycling resort rather than just another bike hotel? Larry: While we’ve made sure Piedmont Cycling Resort “checks all the boxes” for a typical bike hotel, we believe the combination of location and the optional excursions we offer, both for avid cyclists and their non-riding partners, allow our resort to offer guests much more than a bike hotel. 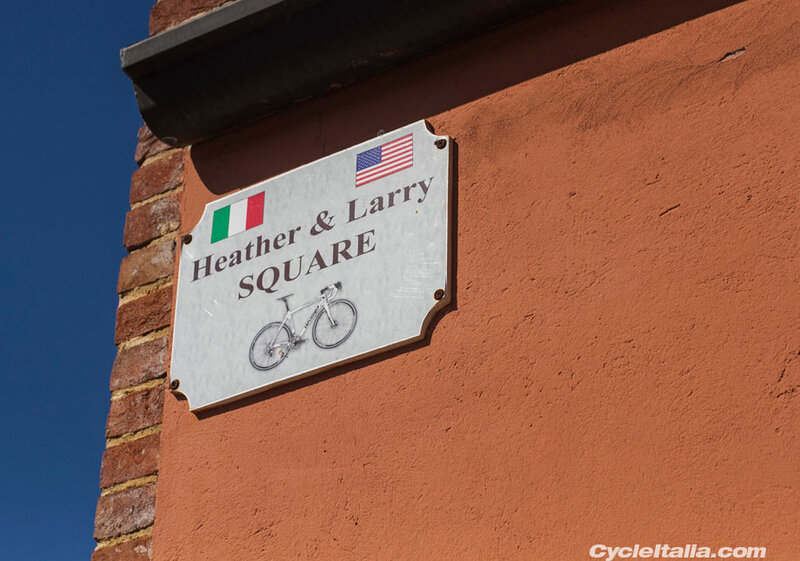 Larry: Piedmont Cycling Resort is located in the Monferrato hills, just an hour from Milan’s Malpensa airport. We’re also just an hour away from Torino and two hours away from the Cinque Terre or the Italian Alps. A chocolate tasting tour in Torino or viewing of the Last Supper and Duomo in Milan can be day-trips rather than overnight excursions. Same for a visit to Castellania, Fausto Coppi’s birthplace and the Museum of Champions in Novi Ligure. 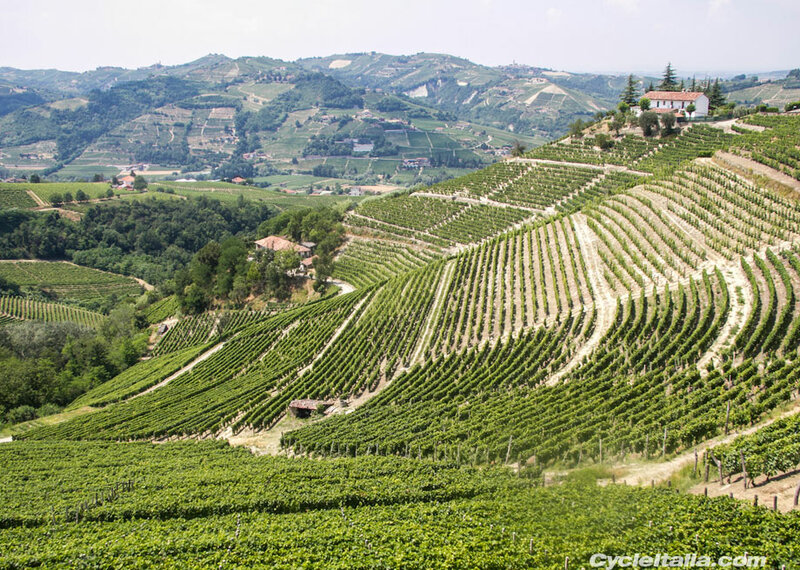 We also offer a designer-outlet shopping trip, a vineyard walk followed by candle-lit sampling of local products or a ride up the famous climb of Oropa. 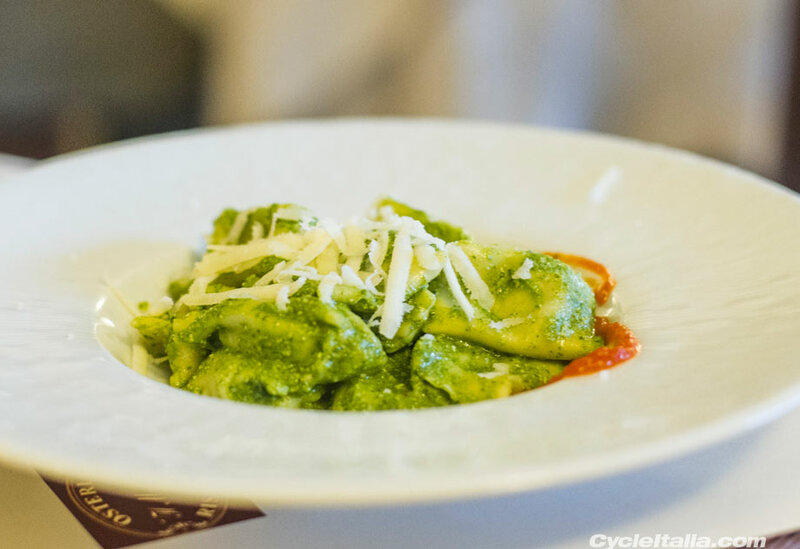 A visit to an Italian artisan bike maker can also be done in a day with a return to Hotel Ariotto to dine and sleep. Ah, dining. One of my favorite Italian subjects. 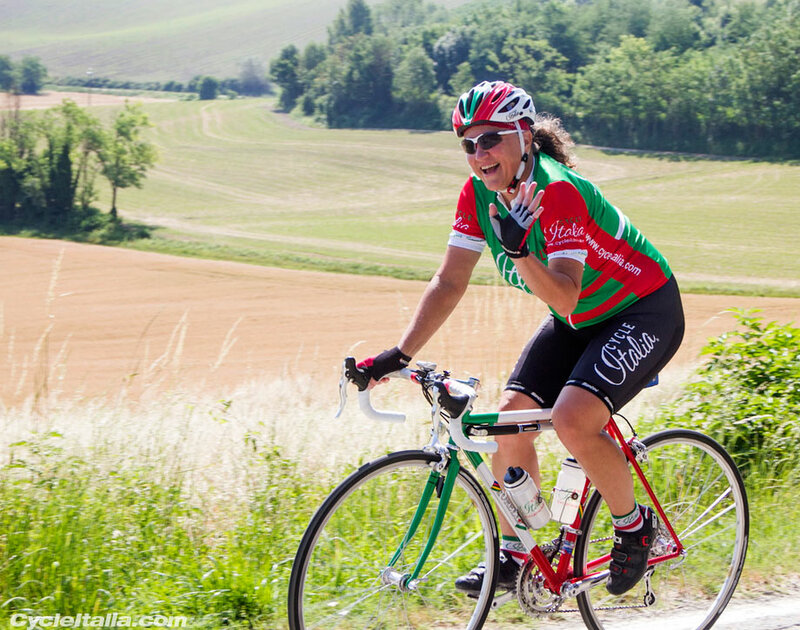 Your slogan is “Pedala forte, mangia bene” (Ride hard, eat, well) so tell us about the dining, something you’ve featured since your start back in 1998. Cycling. Yes, the Pedala forte part. What's the riding like? Larry: Our guests have a vast number of choices. 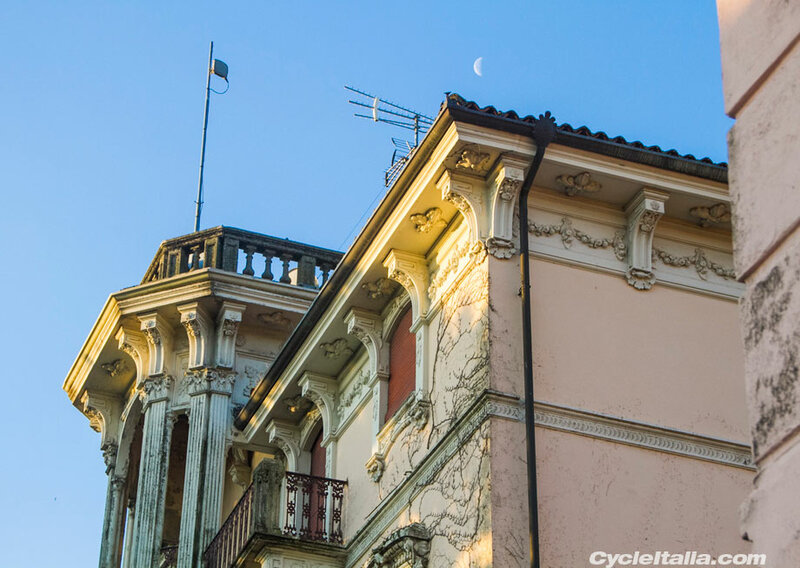 Hotel Ariotto’s location offers flat rides to the southeast with more hills to the west including some really steep climbs to the northwest. All on quiet, low-traffic roads that guests describe as more like bike paths through vineyards. We can also make a day-trip to allow a challenging ride up to Cervinia (the Matterhorn) where the Giro has finished many times over the years, but still be back at Ariotto for dinner. The Giro d’Italia often features stages in this area and we plan to offer a day trip to see one or two, depending on their route. All the Piedmont Cycling Resort ride routes are designed with maps and cue sheets to be ridden on your own, but English-speaking guides and vehicle support are also available. What about bicycles? Do your guests have to bring their own? 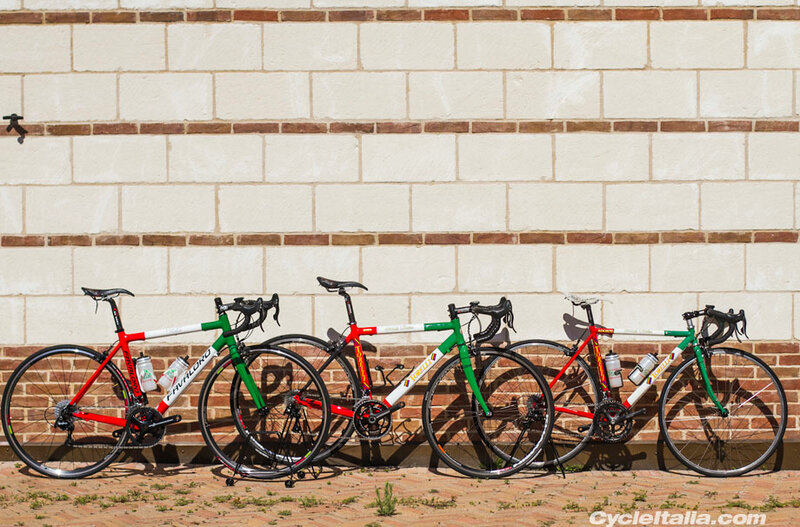 Larry: While we’ll always believe the best bicycle for a vacation like this is your own, if for any reason you decide flying over with your bike is not for you, we maintain a small rental fleet of Italian, artisan-made bicycles, each named for an Italian winner of the Giro d’Italia. Steel, aluminum/carbon or full carbon models are available in a variety of sizes, all 100% Campagnolo-equipped. Just bring your pedals and favorite saddle, though we do offer a Selle SMP test-center where you can try-out various saddle models and perhaps take your favorite one home with you. 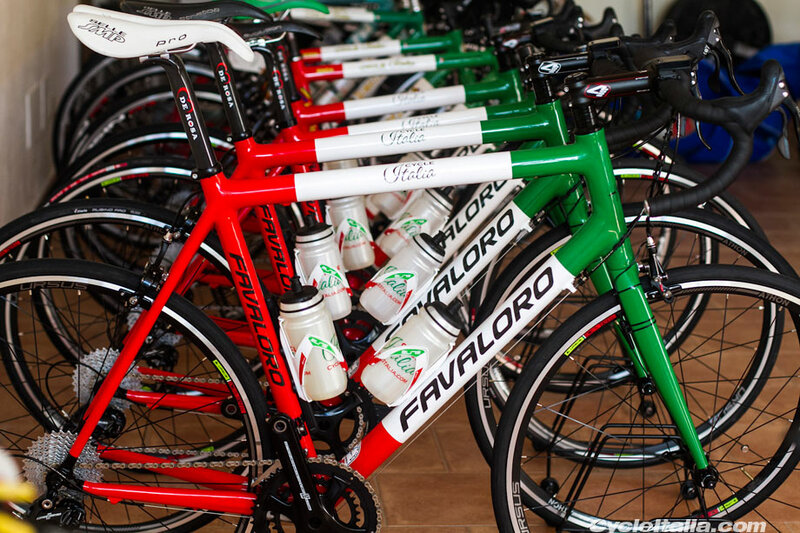 Beyond this, we offer day-trips to Italian, made-to-measure bike artisans including Michele Favaloro, who created our newest carbon-fiber rental bikes. He can take your measurements, then hand-craft a made-to-measure, 100% Made in Italy, carbon fiber, hand-wrapped, one-of-a-kind masterpiece for you, often for the same price you’d pay for a big-brand, t-shirt sized bike made in Asia. Your Favaloro can then be shipped to you or your favorite shop in just a few weeks. What’s your lodging Hotel Ariotto like? Larry: Hotel Ariotto was a 3-star, family run enterprise when Valerio Garrone finished hotel school and took over the family business, shortly before our first visit in 1998. Since then they’ve added a 4th star, another swimming pool, a garage and Bicisupport/Silca equipped workshop for our bikes and a small piazza (they even named it after us!) 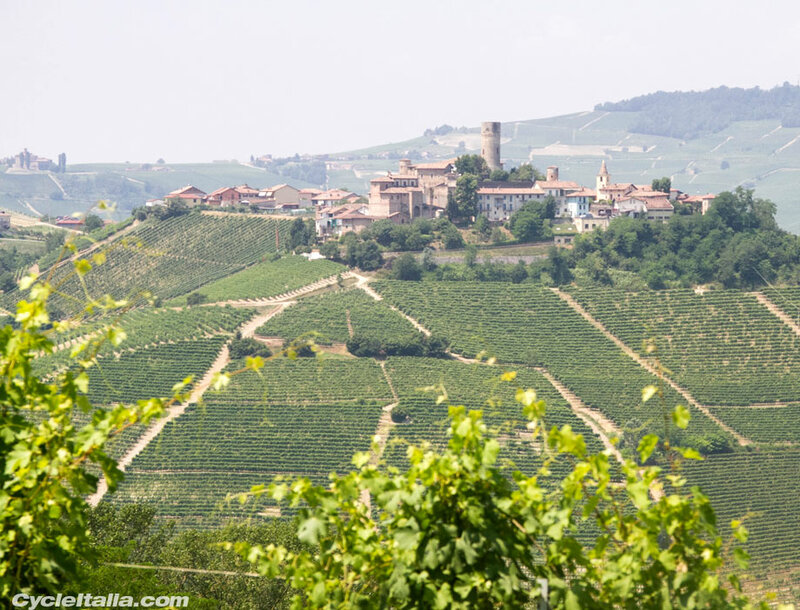 along with another wing of hotel rooms and a block of apartments, all with stunning views of the Monferrato hillsides. During the past two decades we’ve become more like family than clients and our guests start to feel the same way within days. 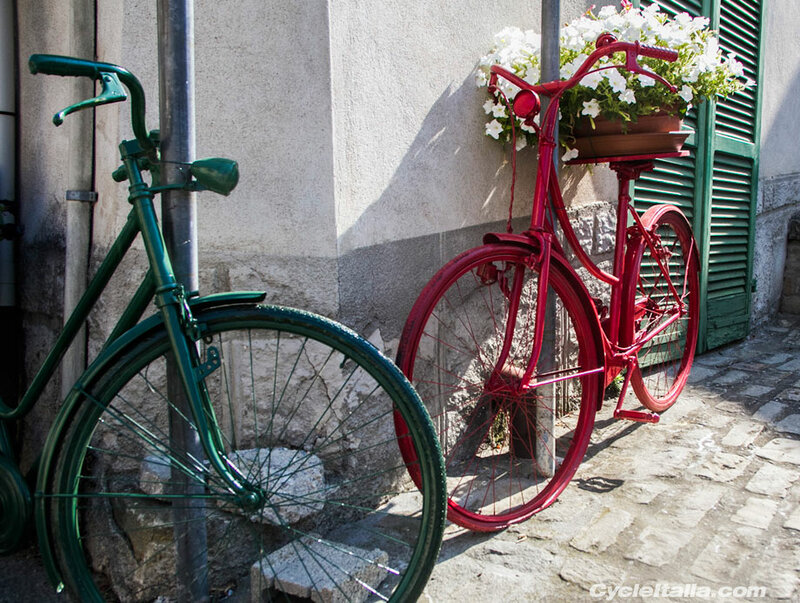 Sounds like you have all the bases covered to create for avid cyclists and even their non-riding partners a dream vacation in Italy. Is there anything else you’d like to tell PEZ readers? Larry: First, we’re offering a special promotion just for PEZ-Readers in 2018. Mention PEZ when you reserve your place and we’ll throw in a CycleItalia jersey and bib-shorts (while supplies last). That’s right, a free CycleItalia kit for those days when your PEZ kit’s in the laundry! In addition, our partnership with Albabici will offer free personalization of SCICON travel cases - like the one you reviewed here. 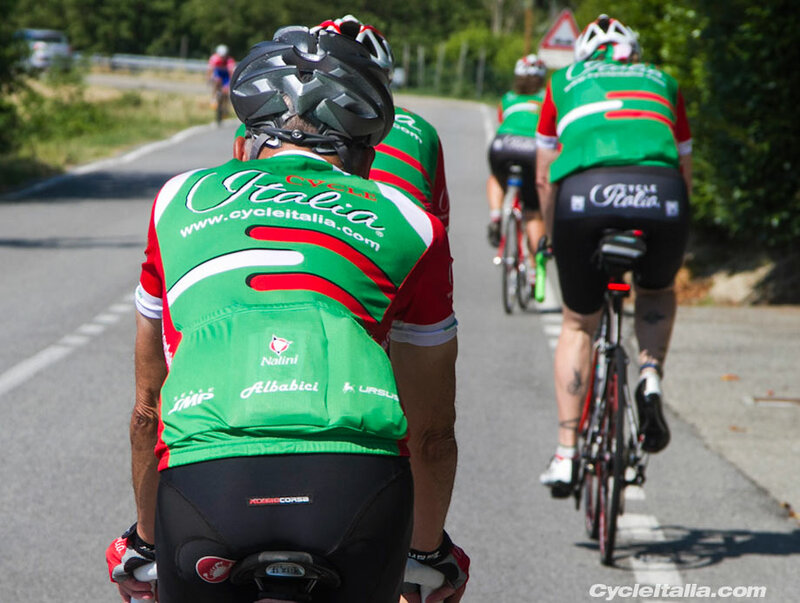 They are the US importer of SMP, Favaloro, Bicisupport, Hibros, Nalini, Ursus, SCICON and Limar and will offer product demos and special purchase-in-Italy offers along with an exclusive CycleItalia special discount at their online store. 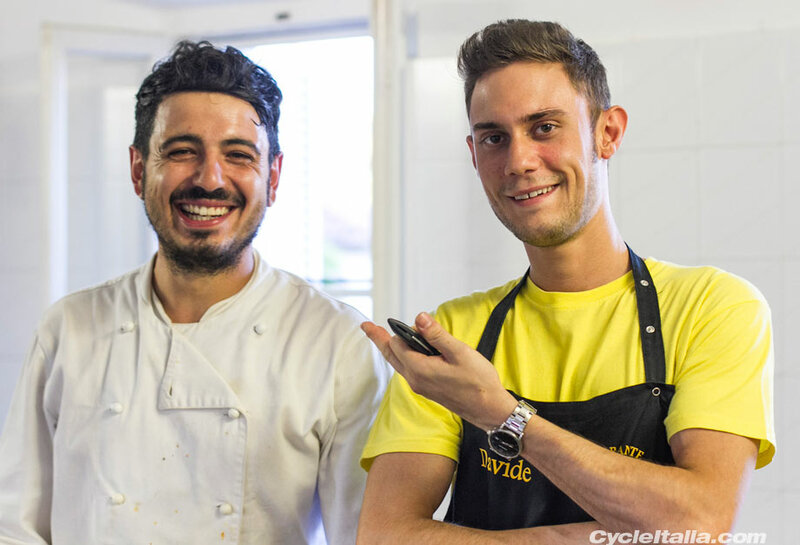 There’s no better place on earth to pedala forte, mangia bene than La Bella Paese, so PEZ readers owe it to themselves to experience Piedmont Cycling Resort. Packages start at just $299 (two days lodging with breakfast, self-guided ride routes, use of all Piedmont Cycling Resort facilities including bike garage/workshop, laundry, swimming pools, etc. • Self-catering apartments (7days/6 nights) start at just $1099 for up to two persons. • Airport shuttles, guided/supported rides, massage, lunch and dinner, cycling and non-cycling excursions (designer-outlet shopping trip, wine tasting, vineyard walks, visit to artisan bike makers, etc.) are available at extra cost. 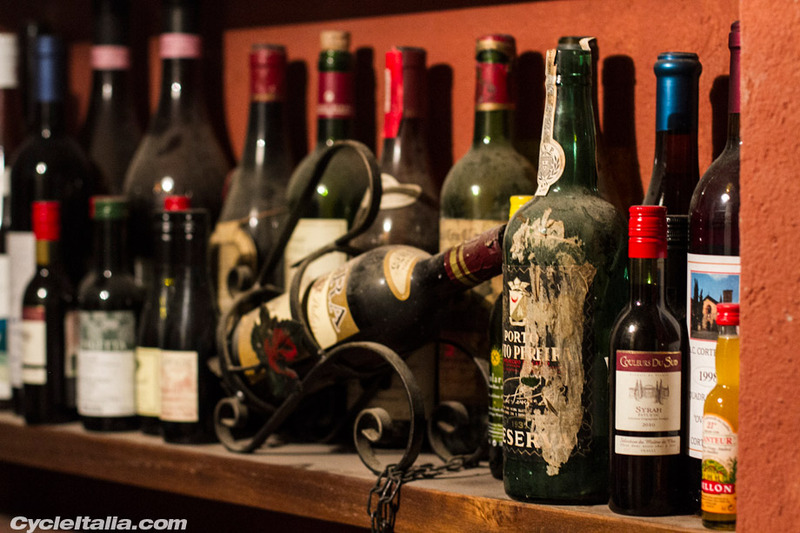 Pez Sez: For sure worth a look for your next (or first) cycling trip to Italy. Plans are in the works for yours truly to visit sometime in 2018 for a first-hand look and full report.